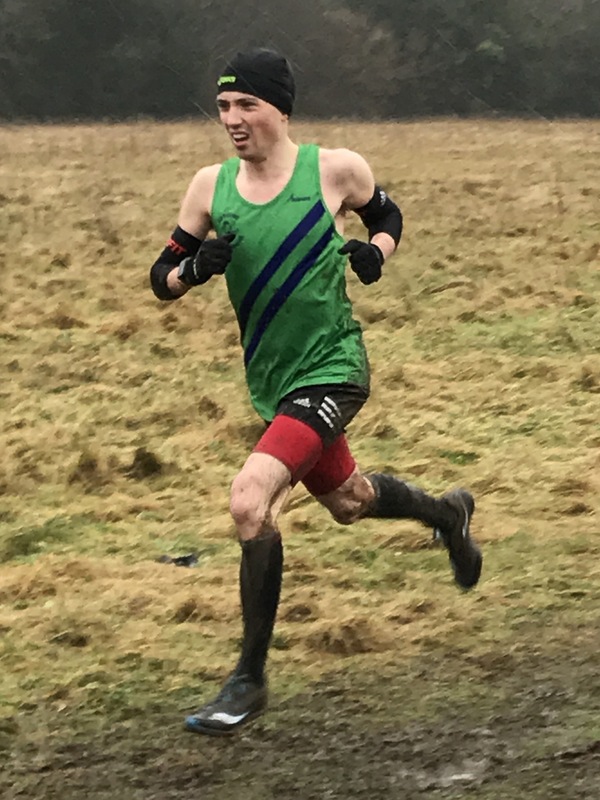 ROADRUNNER Mark Apsey stormed to victory in the Thames Valley Cross Country League fixture at Tadley… but he was not the real hero of the hour. That honour fell to his 11-month-old daughter Tilly, who for once allowed him a full night’s sleep before the race. “That meant I was able to go into it feeling fresh,” said Mark, “as well as quietly confident after a fourth-place finish in our home fixture. “So, following a trademark David McCoy fast start, I took the lead after about 500m and managed to hold on to it for the rest of the race. Along with the failure of home club Tadley to field any runners to contest their own event, the atrocious weather and conditions were the big talking-point of the day for runners, team officials and spectators. But Apsey said: “The course was great. Perfect cross country… mud, water, ducks and leaps. The mud was different from our home fixture. This was slippery mud and although I felt my feet sliding around, my spikes just about kept me vertical the whole way round. Our winner got great support from McCoy, who finished 11th, one place in front of another Irishman, the vastly-improved Fergal Donnelly, with Andrew Smith, Andy Blenkinsopp and Ian Giggs also scoring to bring us home in third place. Gemma Buley was again first finisher for our ladies in 17th, well backed up by Alix Eyles, Sarah Alsford and captain Sam Whalley, giving us fifth place and helping the club to fourth overall on the day. The Thames Valley League roadshow now moves on to the Bracknell club’s home fixture at Lightwater, where there will be all to play for against Windle Valley, Datchet and Sandhurst in the battle for end-of-season podium honours. The good news is that Mark Apsey will definitely be on the start line for us in that one to close out his cross-country season. For the rest of the year he has one big goal, and a sub-35mins 10k looks well within his capabilities on last summer’s form. The only event firmly fixed on his calendar is the Mayfair Tower Race in May, a charity run aimed mainly at the hospitality industry. The 5k round Hyde Park sounds OK, but good luck with the climb of 28 floors to the finish at the top of the Hilton Hotel in Park Lane!